Finding My Virginity: Sunday Shoutouts: Happy New Year! 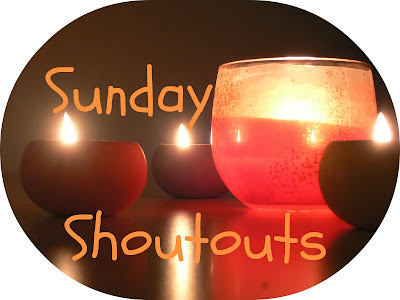 I skipped Sunday Secrets Shoutouts (oops, I was tired when I wrote this) last week. Beau and I spent the weekend in his hometown, hanging out with his high school and college friends who were all in town for the holidays. Beau has AWESOME friends, and I regret that we don't get to see his oldest friends more often. Sunday we went to the art museum in his hometown. While I definitely enjoyed it, I was bummed that their ONE painting by Monet was on loan. It was a busy weekend, lots of fun, but blogging just wasn't a priority. But it's a new year! And my first Sunday Shoutouts of 2014! I read tons of great posts this past week, and I can't wait to share them all. Most Inspirational New Year post: I didn't make any "normal" resolutions this year, and the two that I did make I'm keeping private. I LOVE what Lindsay did in lieu of a normal resolution, over at Trial By Sapphire. She chose a word to live by in 2014. So original! And the word she chose is so great I might just steal it for myself... But you'll have to read the post itself to find out! Most Reasonable New Year post: I might join Elle Sees in her resolutions this year. Last year, she did a mini resolution every week! And before that, she did a different one every month. This year, she's changing it up once again. Bravest post: Newer readers might not know this, because I don't bring it up often, but I'm bisexual. One of the Christian feminist bloggers I follow started the new year by coming out as queer, being somewhere in-between straight and lesbian. It's a beautiful, honest post, and I highly encourage everyone to read it. If you missed it, check out my review of my blog in 2013.
thanks for your links this week- they're awesome!